Today is a fun day for MFT and Ellen Hutson. They are doing a United We Flourish collaboration and today we are here to share the new set called Good Friends. If you would like to check out all the details, stop over to the Ellen Hutson blog by clicking HERE. 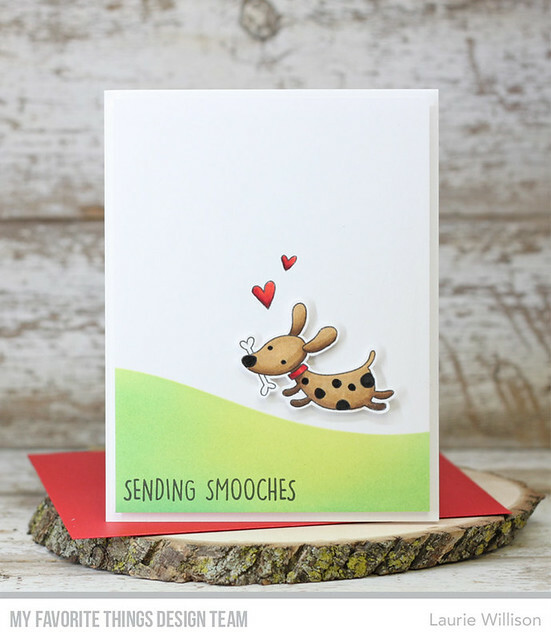 I created a fun, CAS card using an adorable puppy image from this set. I used MFT's Drifts and Hills stencil to create this background. Next, I stamped the sentiment in black ink along the bottom. I colored up that cute puppy with Copics and then popped him up on foam tape. I added in 2 hears with some shading to finish off the card. If you stop by the MFT Blog, you can see a list of the design team members and swing by their blogs to see more. So glad you stopped in today! Have a great day! I stamped different images in bright colors and layered them on a green card base. 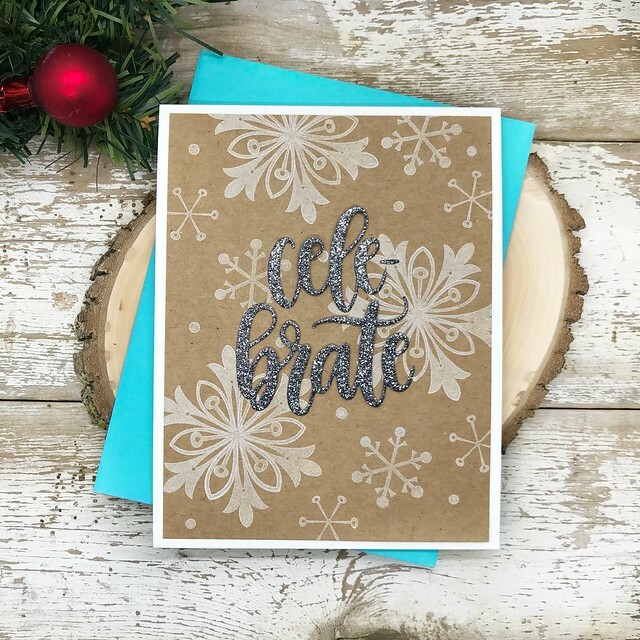 I added in a glitter cardstock sentiment using the Thanks die. And that is it! Easy peasy! The MFT Blog will have a list of design team stops to make to see more samples using the newest kit. 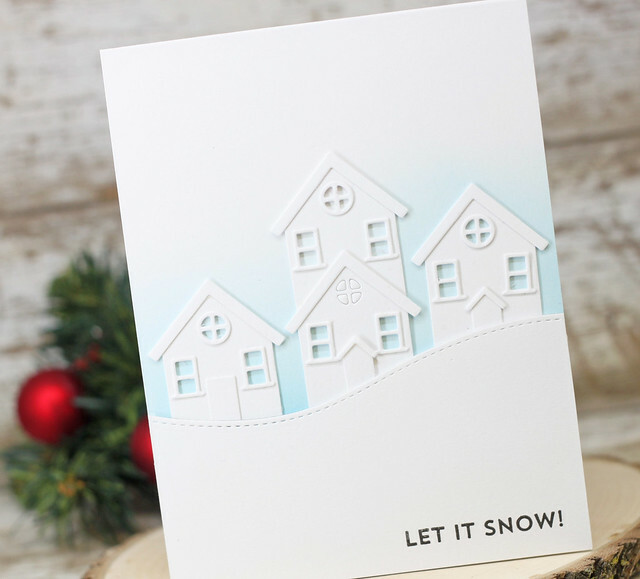 The Snowflake Splendor kit will be available on Tuesday at 8pm CST. 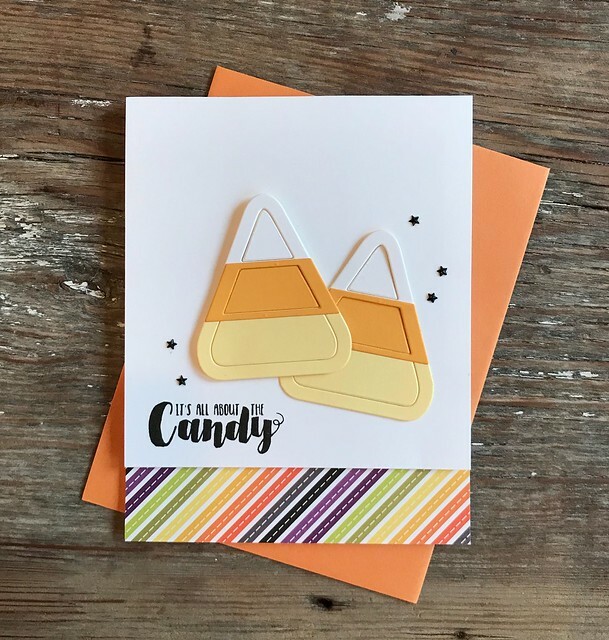 It's MFT's Card Kit Countdown for the month of October. This month's kit is the most fun winter kit. 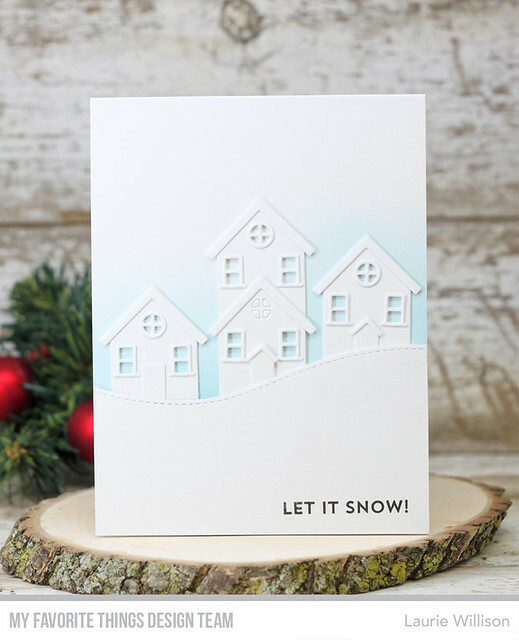 There is a gorgeous stamp set and beautiful coordinating dies. 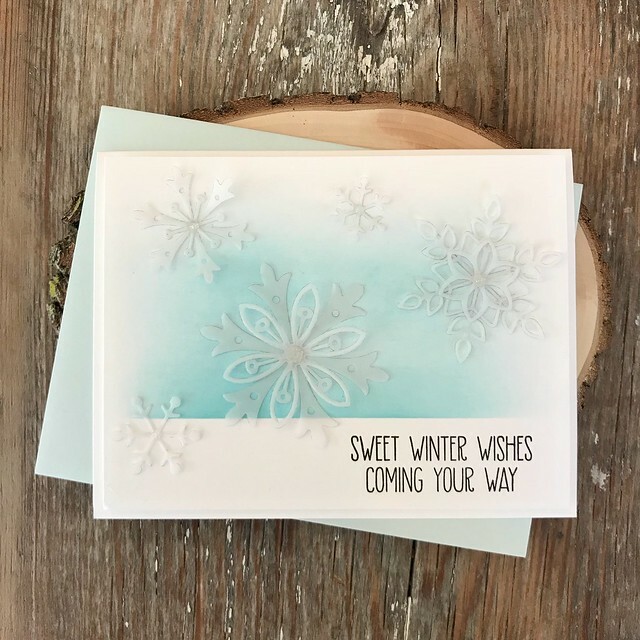 Check out the MFT blog for more details but check out this card I have to share using some vellum and the dies. The dies are so fun and can create the most beautiful snowflakes just by stacking them up. They go together perfectly. I masked of the background and did a little ink blending and then stamped a sentiment from Dashing Dear. Head on over to the MFT blog to see all the details. This kit will be available on Tuesday, October 17th at 8pm CST. 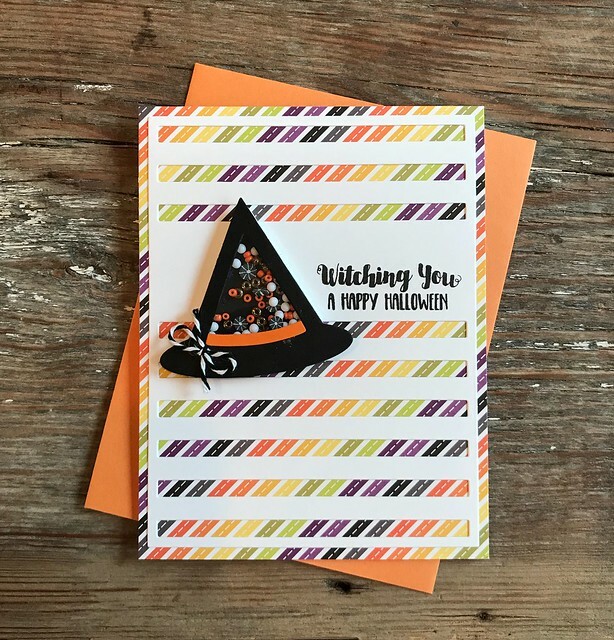 Last week My Favorite Things had their October Release and there were so many new amazing stamps and dies. Head on over to the MFT Shop to see whats new by clicking HERE. On the card base, I did some ink soft ink blending to create the sky. Then I added in several little houses along the sky line. To cover that skyline, I added in a slope die cut using the Hit the Slopes die. I stamped a simple sentiment, from Snow Globe Sentiments, in black ink to finish off this CAS card. So glad you stopped in today! 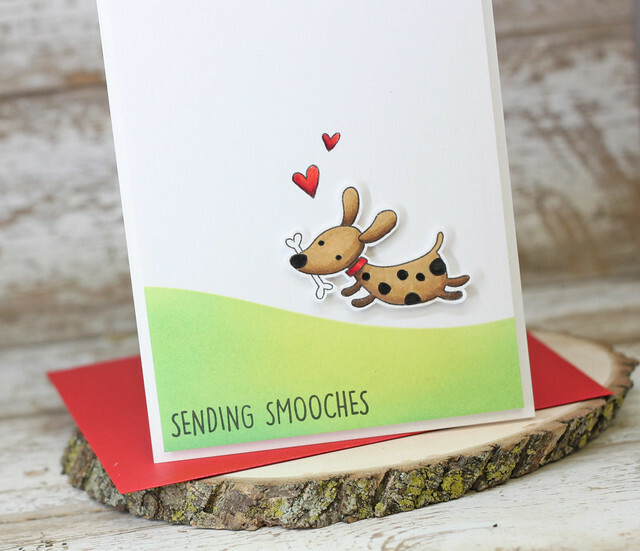 Head on over to the MFT Blog to see more card samples from this latest release. Have a great day! It's Release Day over at My Favorite Things! Have you had a chance to check everything out? Head on over to the MFT Blog to see the whole release. 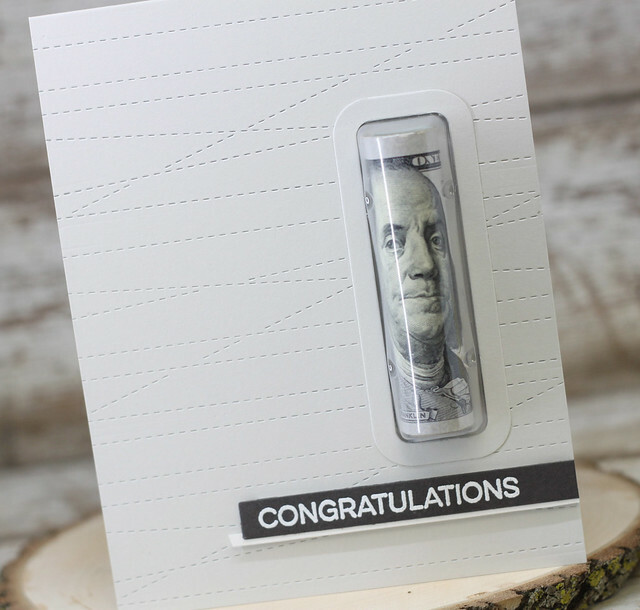 For now, I have one card left to share using the new Lip Balm Window and Frame. The fun thing? 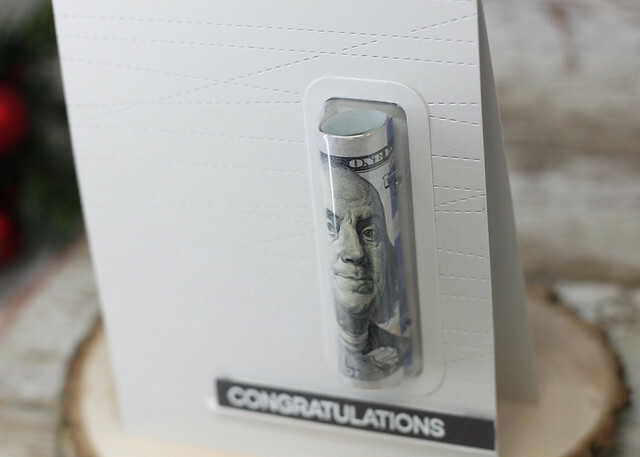 The window is the perfect fit for rolled up cash. 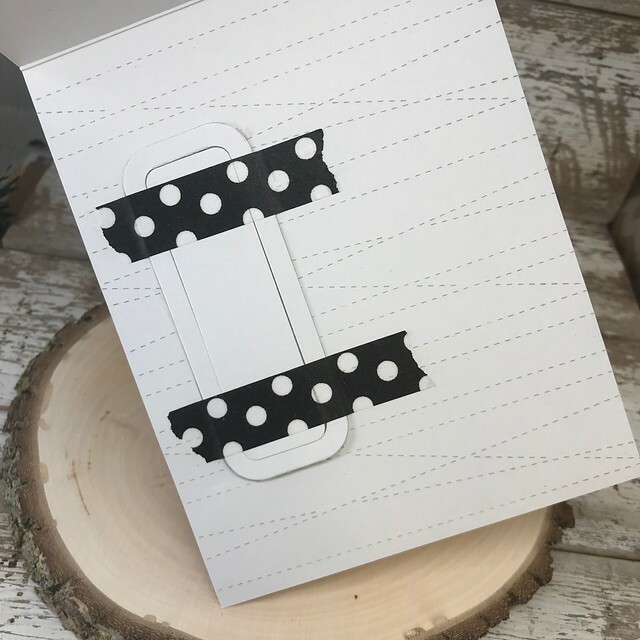 Which turns this card into the perfect gift card! 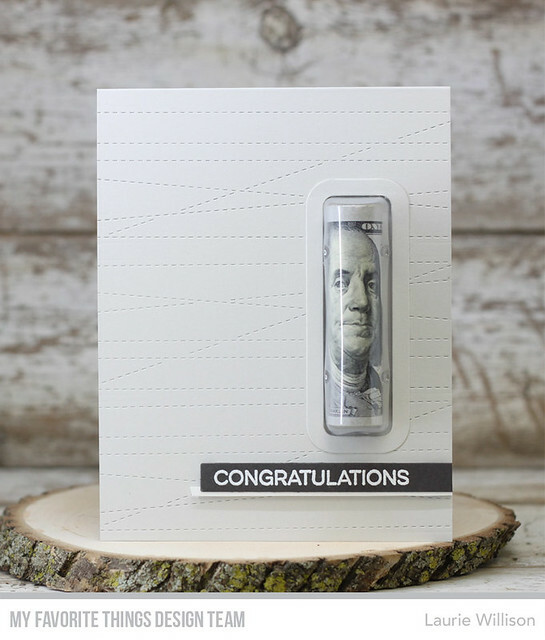 To create this card, I used the Stitched Strip die along the background to give the card a simple, masculine look. I head embossed the sentiment, from Essential Sentiment set, onto black card stock and then left a little white strip of cardstock underneath, peeking out. I have one bill rolled up in here but it could fit several rolled up bills very easily. Check out the entire October My Favorite Things Release by clicking HERE. So glad you stopped in today! Have a great day! It doesn't look interactive does it? Well it is a spinner card! 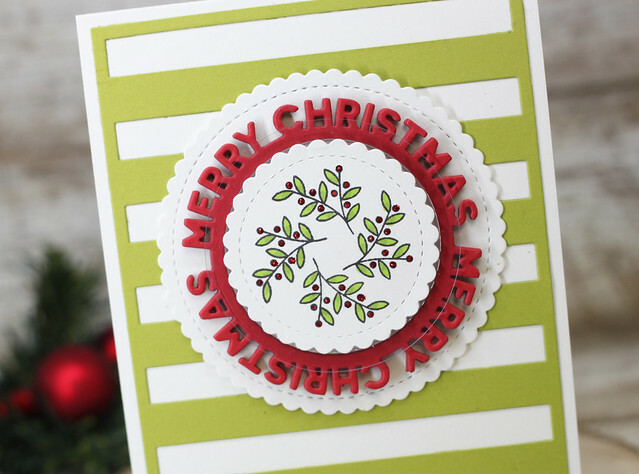 I have a video that I will link below, but the Merry Christmas spins around on the card front. 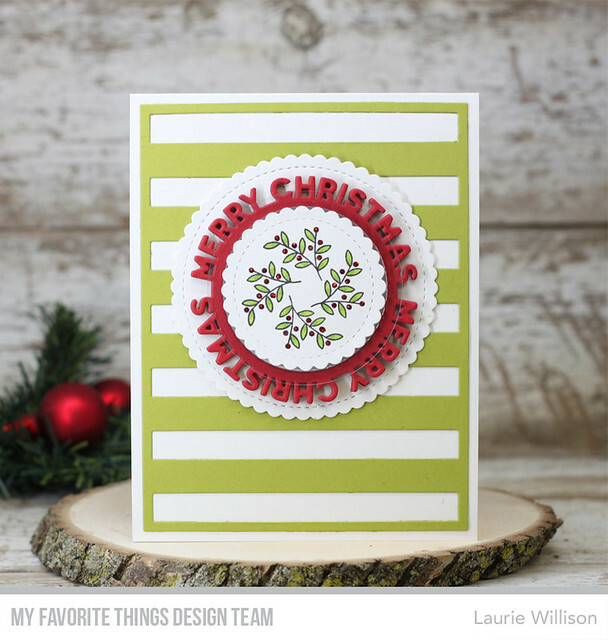 To make this card, I used the circle shaker pouch upside down and tucked the Merry Christmas die behind it. It spins perfectly! Here is the video. It is not great quality..... for some reason I have had terrible technical difficulties. Head on over to the MFT Blog to see more! :) Release day is coming Tuesday, October 3rd at 8pm CST. So glad you stopped in today! Thanks for coming by!